Amazon doesn’t want to rely solely on traditional logistics companies like UPS or FedEx to deliver packages to customers’ doorsteps. But it isn’t placing all its bets on autonomous drones either. Instead, the company is testing its own fleet of trucks to handle "last mile" drop-offs in certain markets. The move should help the retailer expand its same-day delivery service and have more control over shipping expenses, which grew 29% last year. It’s also meant to avoid a repeat of last year’s holiday shipping mess, which resulted in hundreds of missed deliveries and Amazon offering compensations. 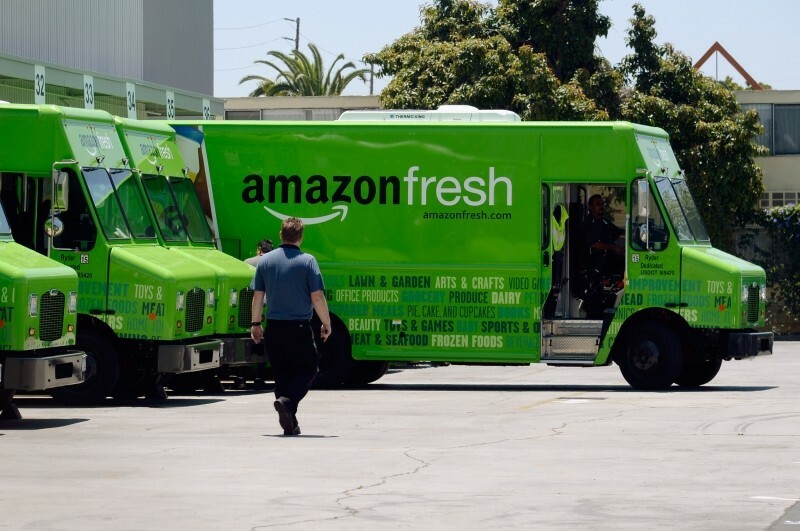 Amazon trucks driven by Amazon-supervised contractors are currently being used in limited fashion to deliver packages in San Francisco, Los Angeles, and New York. Customers who've received packages delivered by Amazon said they noticed a different tracking process, with no links to an outside shipper. "Amazon is growing at a faster speed than UPS and FedEx, who are responsible for shipping the majority of our packages. At this rate Amazon cannot continue to rely solely on the solutions provided through traditional logistics providers. To do so will limit our growth, increase costs and impede innovation in delivery capabilities. Last Mile is the solution to this [and will] revolutionize how shipments are delivered to millions of customers." With more states now requiring Amazon to charge tax, thus reducing its competitive advantage, building its own delivery network will certainly give traditional retailers something new to worry about.